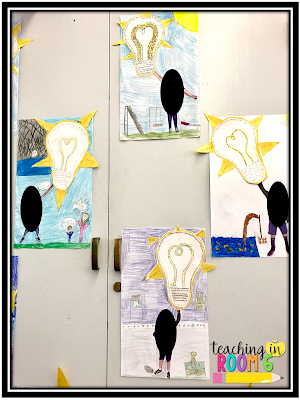 We have been working with the idea of growth mindset all year long so as a "final" recap project, I wanted the kids to do a little reflective writing. 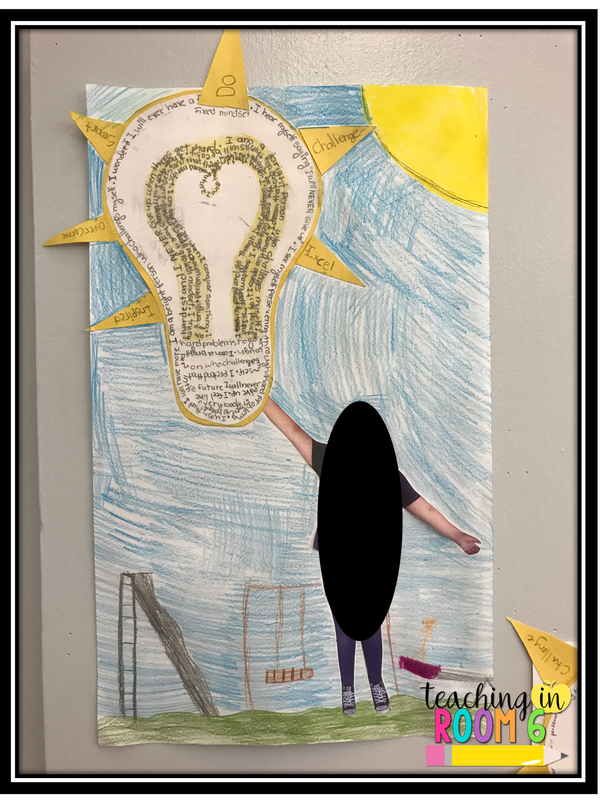 Using an "I Am" Poem template, the kids wrote their own I Am poems with a growth mindset twist. Now, there are hundreds of "I Am" Poem templates online to choose from. I happened to use this one here, but you can use any of them. I didn't make copies, rather, I did a sort of "guided writing" with the kids. I wrote the sentence stem on the board and then did my own example. Since I wanted them to write with a growth mindset twist, I modeled that for them. I am a hard worker who strives to learn all I can. I try to keep in mind that if I don't get it the first time, I will if I try again. I hope that I will never lose my ability to persevere. After I modeled, the kids were then able to write that particular line on their own. We did this for the first half of the poem. Then I wrote the rest of the sentence stems and they were off to write independently. 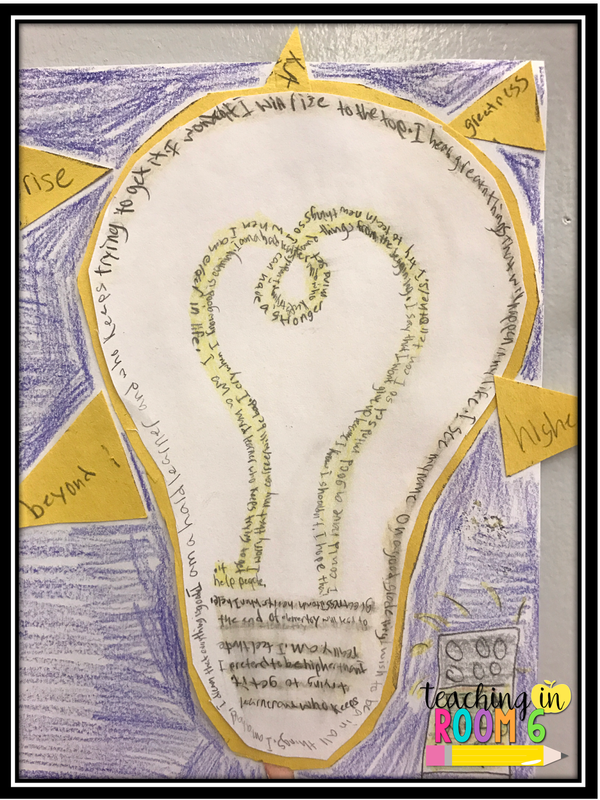 To display the poems (which really did show a great deal of reflection and focus on a growth mindset), I gave the students an outline of a lightbulb. 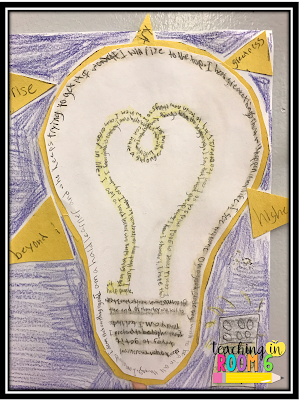 Using a concrete poem style, the students wrote their entire "I Am" poem around the outline so that, when it was complete, the lightbulb shown through the words. I took a pic of the kids "holding" the lightbulb and then they drew themselves somewhere, anywhere, where they would have to have a growth mindset to succeed. All in all, this came out just as I was envisioning. It was reflective, academic, and a tad bit fun. The kids enjoyed it and loved reading each others' work. Such an awesome idea! I look forward to trying it out this upcoming school year. Thank you for sharing the process! What are "the rest of the sentence stems "? Love this! 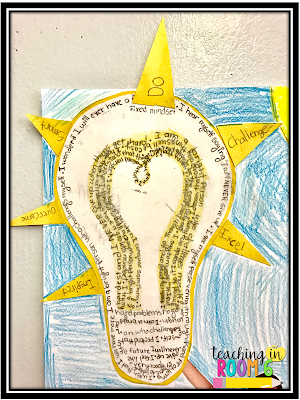 I will be teaching fifth grade for the first time next year- looking for exactly this kind of thing to engage my writers. Thank you! 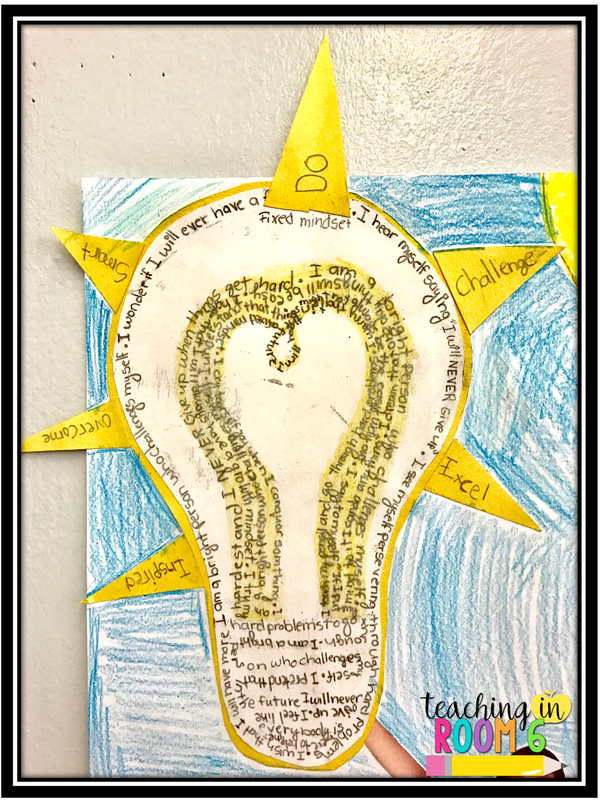 We have been working with the idea of growth mindset all year long so as a "final" recap project, I wanted the kids to do a little reflective writing. Using an. Do you think this would also work for a beginning of the year project to start off the year with a more positive attitude? I love this project so much! Also, did you use any light bulb template? I love this! How big of a lightbulb did you use for kids? was there a template you found to be most helpful? The lightbulb was just a piece of clipart I found online and blew up to the size of an 8.5 x 11 inch piece of paper.